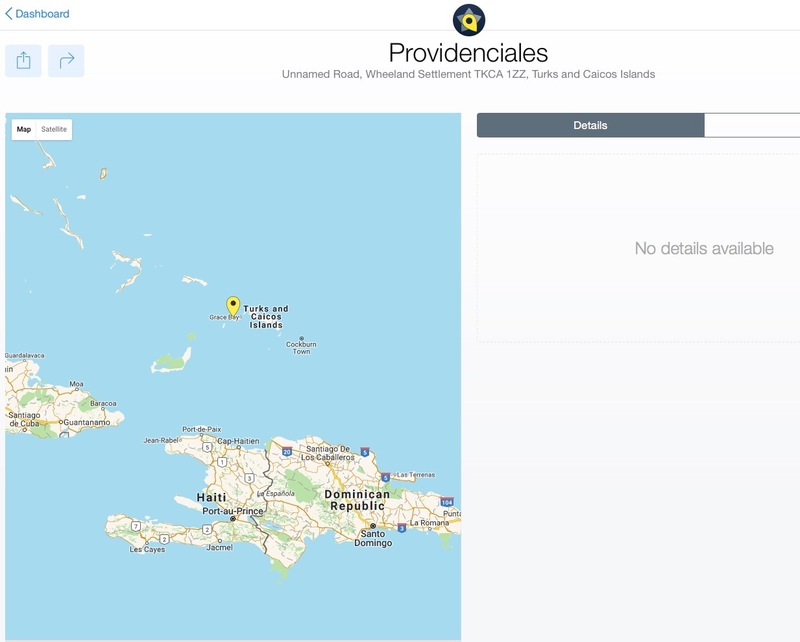 A couple of months ago we were talking to a RaceSplitter user, Carole Klinko and we checked out where the events were taking place…in the Island Providenciales in the Turks and Caicos. I must admit that the first thing I did was check out where it was! I went immediately to Rego to look for it. 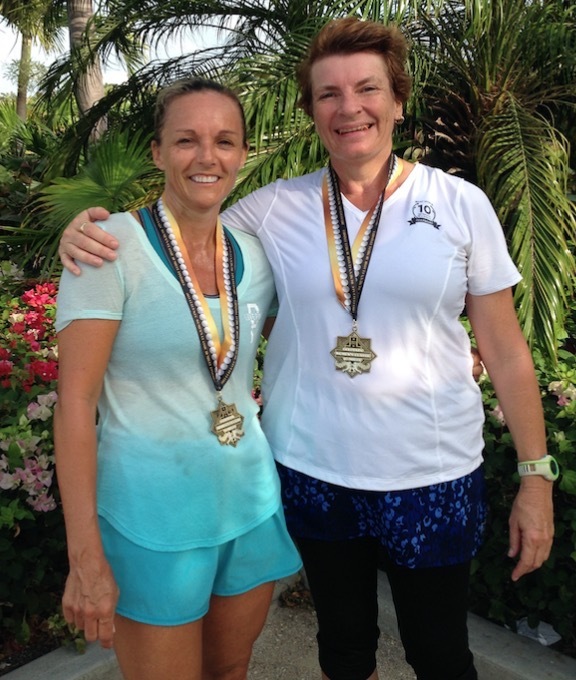 Then we got a little bit intrigued about the location and how neat the RaceSplitter community is so we are going to share the interesting story of how Jo Gray and Carole Klinko became the go to people for race timing in the island of Providenciales. I’ll keep the story original as it was told by them. Enjoy! Jo is a fitness instructor on island, and is Carole’s running buddy. They run together 3 times a week and participate in most Fun Runs on island. They also run a couple of Virtual Runs a year, the last one they did was a 10 Miles in May. The actual race took place in Colorado, but anyone worldwide can run in it. The last time a Sprint Tri had been organised on island was in 2009. Jo and Carole had been part of a team where Jo was swimming and Carole was running. In 2013, Run 4 Fun decided to resurrect the Provo Sprint Triathlon. Kevin Bethel, the man behind the organisation brought in people from Trinidad to help and asked Jo and Carole if they would help with the timing. They agreed and timed that race using a watch and a clipboard. The times were then manually entered into a laptop so the results could be published online. When Kevin asked them the next year if they would time again Carole decided to see if she could find an app that they could use, and discovered RaceSplitter. So, they used it for the Sprint Tri in 2014, and everyone was really happy, especially when they realised that they could go online to see how they had done, and even check by age group. Since that time word has gotten out that they are the people to call if a race needs timing. They were asked to time kids swim races for Surfside Ocean Academy and Total Adventure Co. in 2014 which was a lot of fun and then in 2015 the organisers of the Swim for the Conch Eco Swim (www.ecoseaswim.com) asked if they would time for them. For them, that was a whole different ball game as they had to deal with three races that had 37, 46 and 80 participants. The Eco Swim attracts participants from around the world, and is the biggest race they work with. It is also one of the hardest. This year they had a problem with an iPad overheating just as the first swimmers from the 1 Mile race were exiting the water. After a brief moment of panic Carole put the iPad into the cooler, sitting it on top of a bag of ice. Luckily they always have someone with a clipboard writing the numbers down, and there was a big timer at the finish line so they could get their times, the problem there was that this timer was started a couple of minutes after the actual start of the race. After about 15 minutes (and the first five swimmers crossing the line) the iPad finally cooled enough to use. Luckily the RaceSplitter app had continued to run so they were able to complete the race. They manually entered the first five runners later on in the day once the race was uploaded, and as they had written down the time as per the timer on the beach were able to adjust them taking into account the time the race was actually started. Lesson learned, do not keep the iPad sitting on “Start Race” screen for 15 minutes whilst waiting for the race to actually start when it is 90 degrees out! In the past couple of months they have timed the Kids Tri and just a few weeks ago the 2016 Swim For the Conch. The Sprint Tri will be run again in November, and there will be another Kids Tri and probably a Super Sprint Tri in the winter. Carole would love to do the Super Sprint, but Kevin has already told her that he won’t let them enter as he needs them to time! Jo and Carole are happy to time for whoever asks us. They live on a very small island with an increasing number of events every year as the population grows and more people, young and old, are getting involved. RaceSplitter is the perfect app for them as it is easy to use and user friendly. The Kids Tri, that was run for the first time this year was a really fun event, the kids were amazing! They hope this event will grow over the next couple of years.